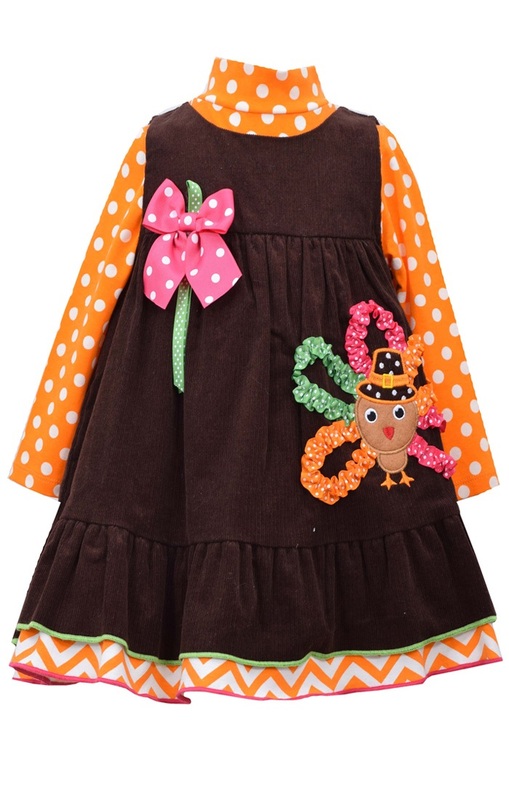 Super cute for Thanksgiving! Baby or infant dress features turkey applique on solid corduroy jumper with dot print knit long sleeve mock neck shirt with chevron print ruffle sleeves. Cotton jumper dress with cotton and spandex long sleeve shirt. Machine wash.